Randy Finch's Film Blog: Has China Stopped Returning Hollywood's Calls? Has China Stopped Returning Hollywood's Calls? 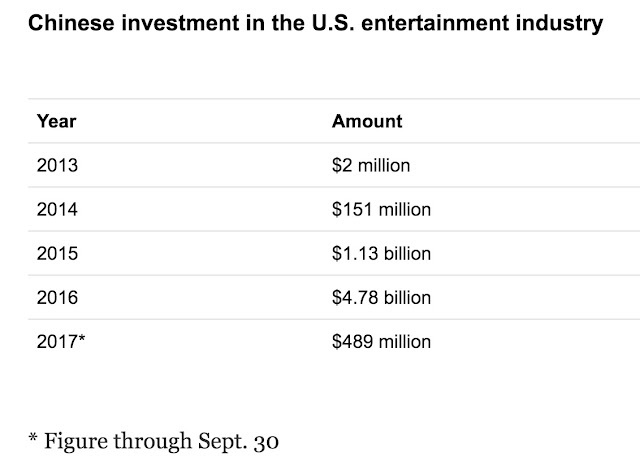 Just as suddenly as it heated up, Chinese investment in Hollywood has cooled off. The demise of the deals that Hollywood had depended on is roiling the major studios and other show business related deals in Hollywood. For example, as reported in a Nov. 12th, 2017 LA Times article, Paramount Pictures had announced in January 2017 that Bejing's Huahua Media was going to to invest $1 billion in Paramount’s movies. 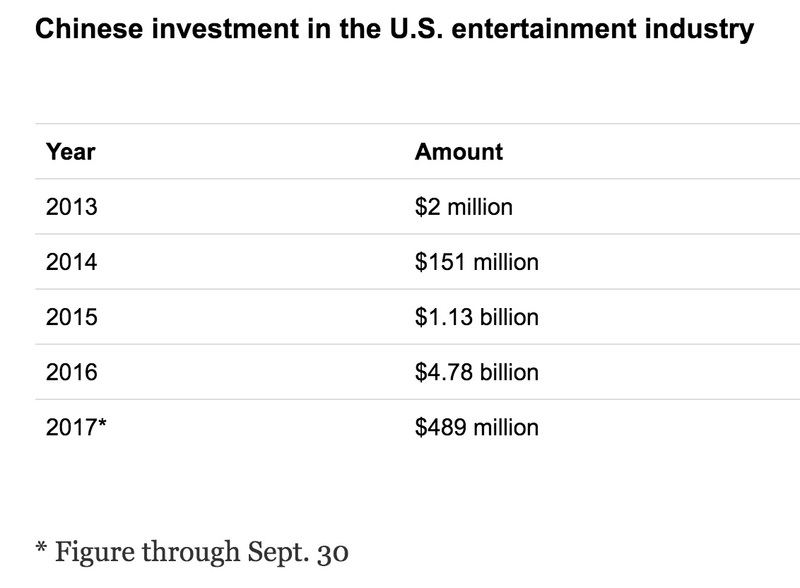 That deal is now not going to happen - thanks to the "Chinese government’s clampdown on foreign investment in entertainment and other industries" outside China. And, in October of 2017, Athens Group, the US development partner working with Beijing's troubled entertainment biz giant Dalian Wanda Group, officially called it quits on a $1.2 billion development project that would have provided new hotel rooms and condos in pricey Beverly Hills. Wanda Group had been on an "overseas buying spree" including major investments in Hollywood real estate while promising to pour money into production companies like Legendary - but now that Chinese firm's ability to obtain financing has been called into question. Hello! Thank you for the wonderful publication. With great pleasure I read. I also want to say that I have recently read a very interesting article here https://set-travel.com/ru/europe/attractions I recommend to read, I think it will be very interesting.